"Remember how traveling used to be considered a glamorous thing? Garments were carried in fabulous coordinated sets and fancy luggage accessories gave one's things the VIP treatment on-the-go. 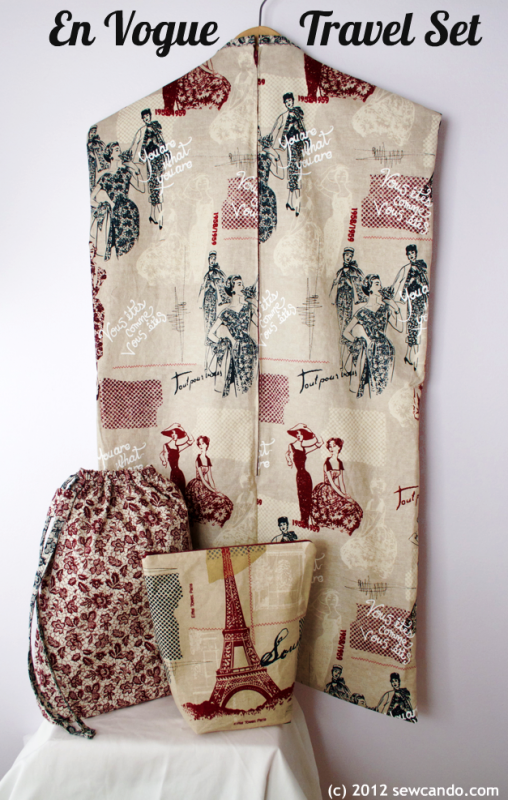 Now you can have that kind of chic again with a coordinating garment bag, lovely lined zip-up tote, drawstring shoe bag. Carry your favorite clothing and accessories with my En Vogue Travel Set! I created this project especially for the En Vogue fabric collection from Timeless Treasures and recently shared it as a special guest feature over at their blog. Now it's time to share it here!"